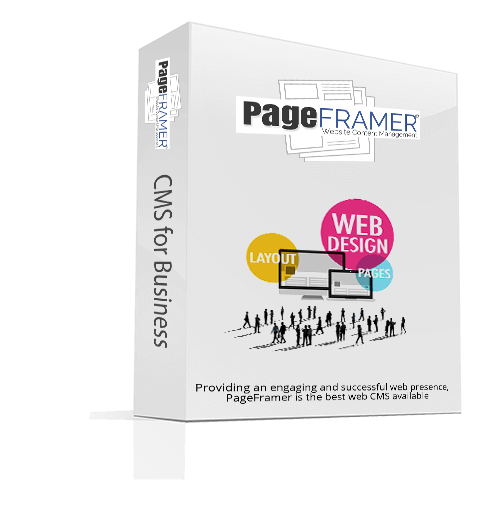 PageFramer is not just a content management system (CMS), it is the best web CMS available for any business looking to have an engaging and successful web presence. PageFramer combines the best features and attributes of open source and commercial CMS’s into a robust, reliable, and secure platform. Your business’s online presence is just as important as its physical presence. Having the best web CMS for your business’s website means not just having a good CMS, but an easy CMS that can be readily updated by the individuals in your organization. Having an easy CMS will empower you to have a great looking, up to date, and highly effective web presence. who builds highly successful websites. who is an expert in your industry. The best CMS systems allow you to control the title tags and keywords on your website. Search engines scan your entire site looking for words and phrases that might be searched for, and PageFramer has the tools to make sure your site will be found. There is no limit to the number of pages on your website. You have full control to show or not show pages to the public, which makes content sharing simple. The best CMS platforms include analytics, and PageFramer is no exception. By adding analytics to your website, you can measure what pages are performing and identify key vital to your online success. See what your users like and dislike about your site, and make changes accordingly. The administration area of your website is very user friendly, which allows you to adjust and make changes as necessary. The familiar browser-based format makes updating content fast and simple, which is what an easy CMS should be.